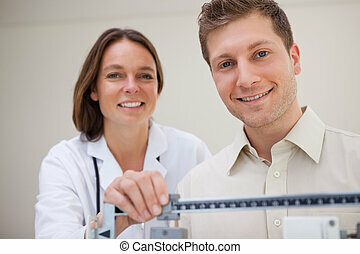 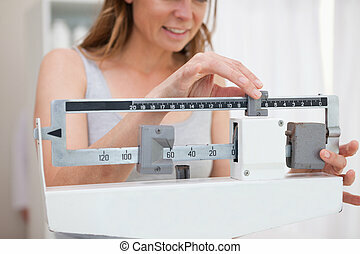 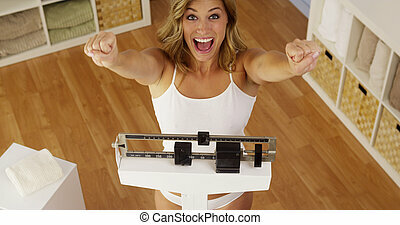 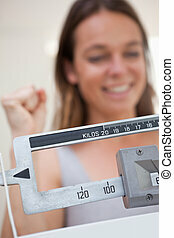 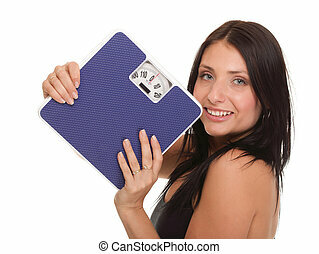 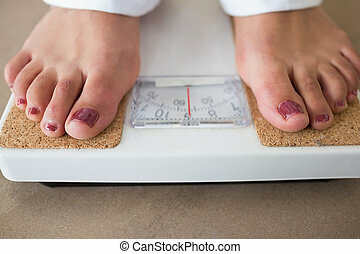 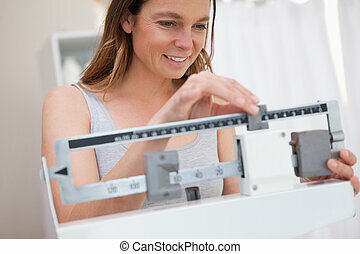 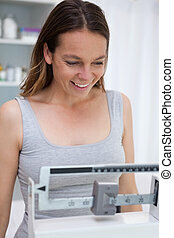 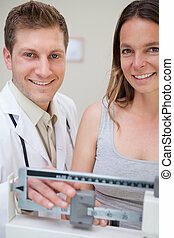 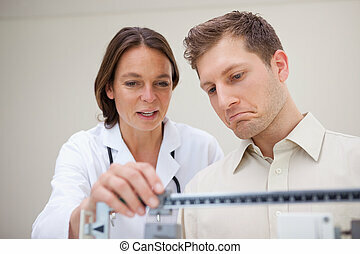 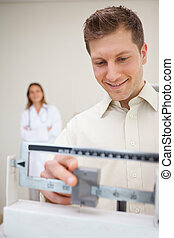 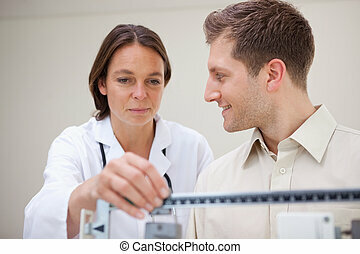 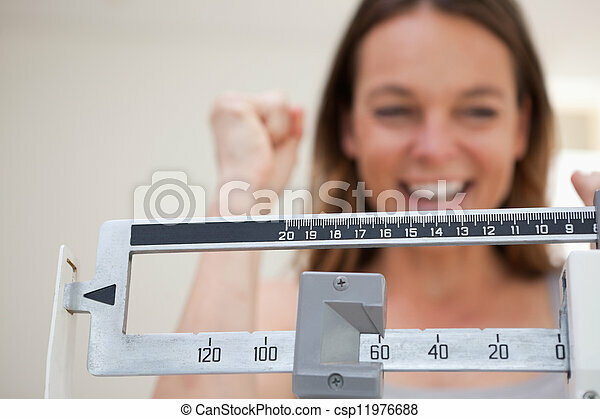 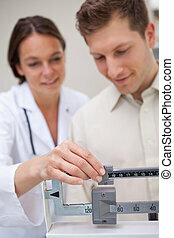 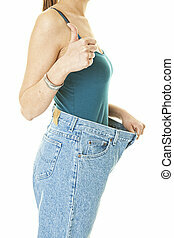 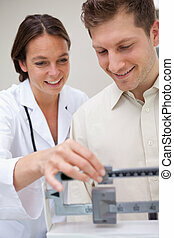 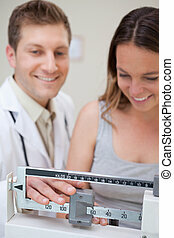 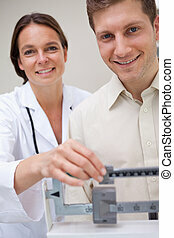 Scale showing weight loss to smiling woman. 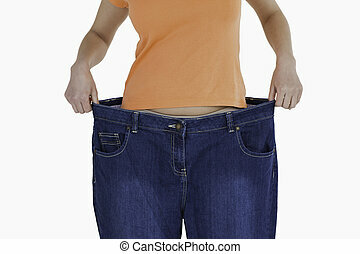 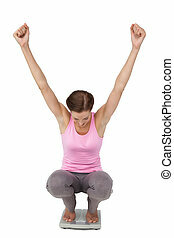 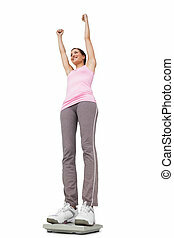 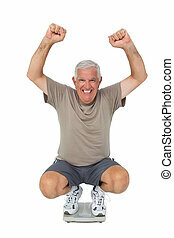 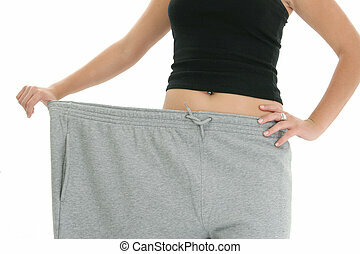 Woman's torso holding out super huge sweat pants to show of weight loss. 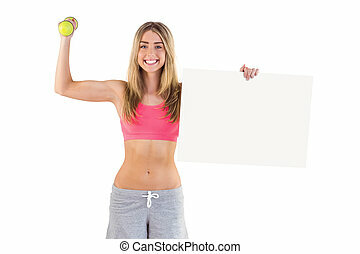 Shot in studio. 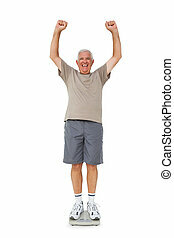 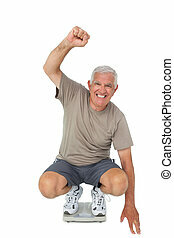 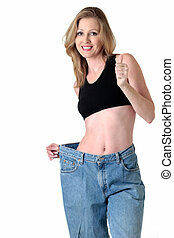 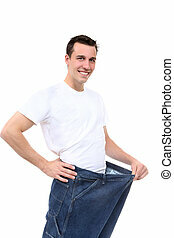 A woman showing off her dieting success. 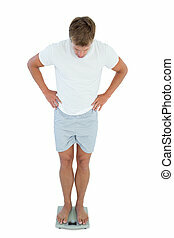 Shot on white background. 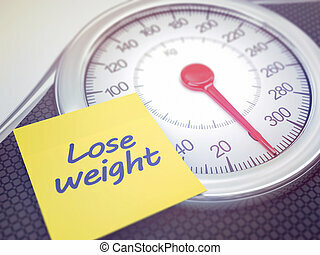 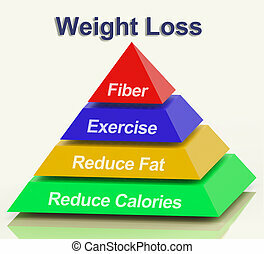 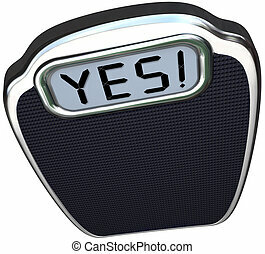 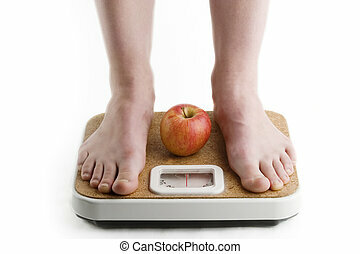 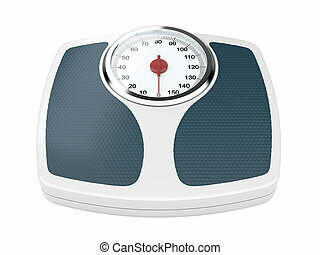 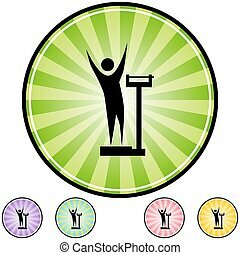 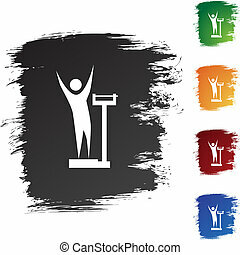 Weight scale with reminder to lose weight. 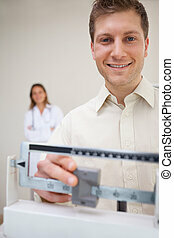 Depth of field with focus on the reminder.